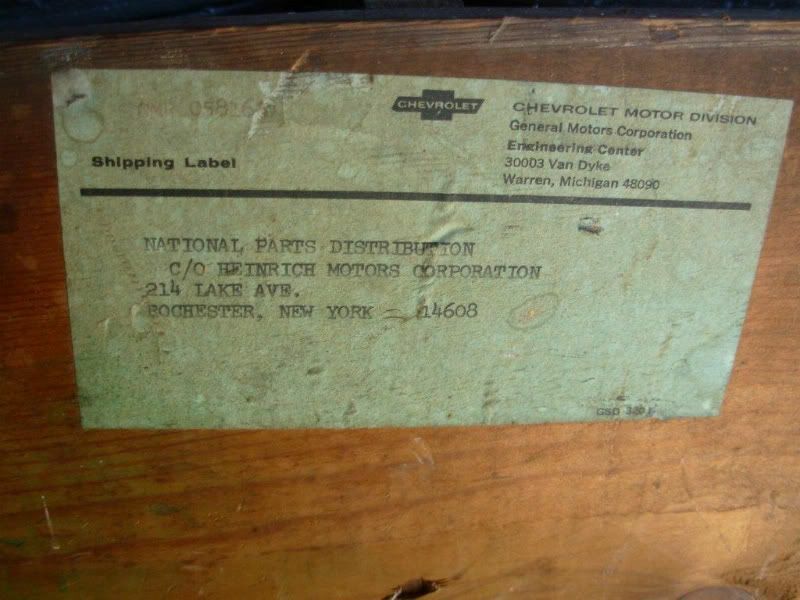 original box crate they came in? Pretty doggone cool ! That is something I haven't seen before. Surely very telling that they came in a wooden box. they were taking race parts very seriously. Are thes still NOS ? Those are really cool to look at, especially in the box with the original labels. I don't know if I'd want to run on them though. I think Gary used them and they are not NOS but I have asked and will let you know. Yes, these are truly very cool to look at but magnesium gets brittle with age. I've seen people race with these 40+ year old mags but it might not be the wisest thing to do. 15x8" magnesium version of the American 200-S, sometimes referred to as the "Daisy" mag. This mag first came out in time for the start of the '69 Trans-Am season and was primarily being used by the factory-backed Boss 302 Mustangs but they quickly switched to Minilites. Others who used the 200-S for at least part of the season were Craig Fisher in a '69 Camaro and Bob Tullius in a Javelin. Mike..........We ran the original magnesium wheels on the SFR SCCA/A Sedan that I crewed on. Started out with many. By the time we went to GT1 & needed 10" rims, the Americans were only good for show. Can you guys answer a question for me? I was told that in the name of the wheel American 200S, the S stands for Shelby...is that true? I thought that it didn't stand for Shelby...heck he would have had his name all over it and sued folks for copying it if it had been his. Ironically he DID copy it for his own wheel company many years ago. The story with the 200-S wheels is that they would break under severe loading on the fronts and this cost Ford a couple of races. They switched to Minilites and the problem was gone. If you look around you'll find some photos of the 69' Bud Moore cars with Minilites on the fronts with the 200-S's on the rears. Later they ran Minilites all around and stuck with them for 1970. I've heard that Mark Donohue knew that the Minilites were a stronger and proven wheel so he ran them starting in 69'. For 1970 he tried to use only 4 lug nuts on the Javelin (faster pit stops) but the SCCA made him change them back to 5 lug. Those very wheels are on a bunch of cars out there right now! You can see where they plugged the lug holes and re-drilled em! Mike..........I ran across a few of the plugged wheels. 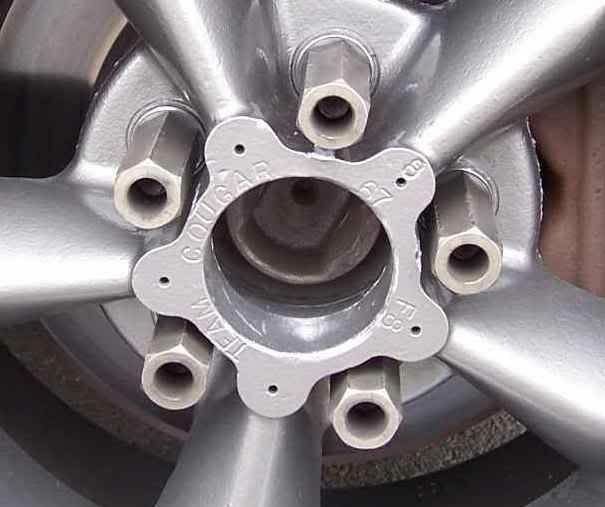 I never knew about them until we took some Minilites to S&T Racing to have the steel inserts put in for the wheel nuts. Then we heard the story. I don't know about the 200S wheels breaking. 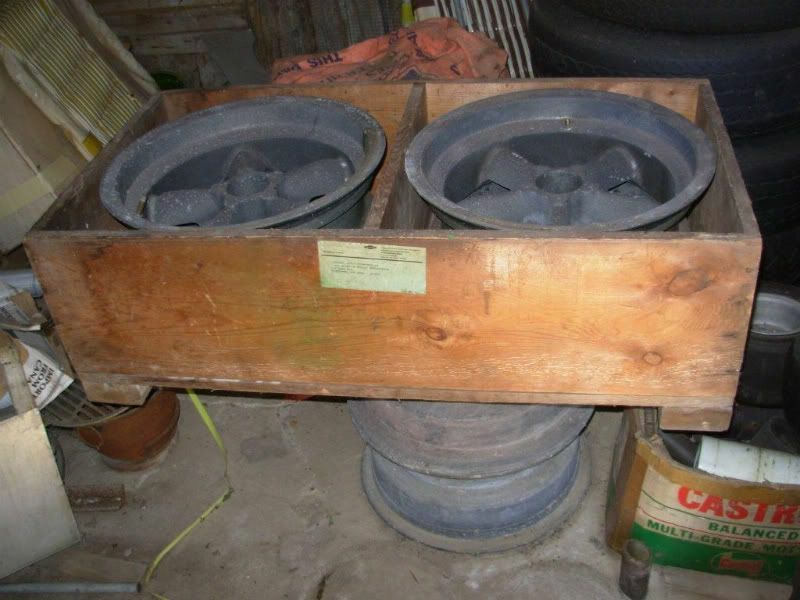 However, we never had any of the "original" magnesium wheels fail. With that said, I personally don't think that would have survived after we went to the 6 litre motor. I knew about Donohue running the 4-lug pattern for part of the '70 season but had not noticed any of these plugged Minilites being used on current vintage race cars. Cool picture. Thanks for posting it. The Bud Moore Mustangs did run the 200-S wheels on the front at Laguna Seca late in the '69 season so I'm not sure what they were thinking with regard to choosing between them and the Minilites. As for the S in 200-S standing for Shelby, I never heard that story. 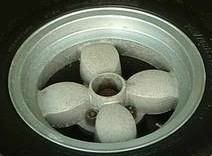 However, the "Libre" wheel that was made by American Racing was kind of a junior 200-S but with 4-spokes instead of 5. These were meant for smaller cars like Datsuns, Triumphs, etc. 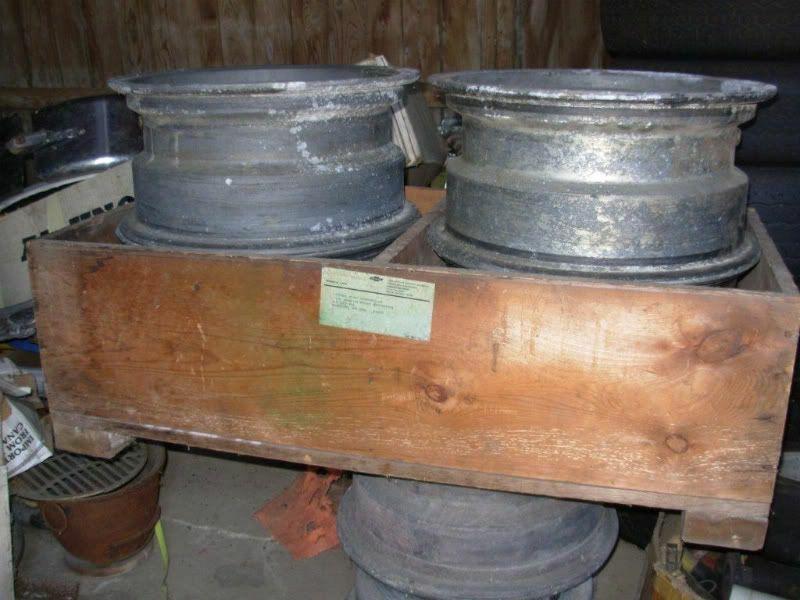 Some of these "Libre" wheels had the name Shelby cast into them but these were Shelby copies of the American Libre wheel. 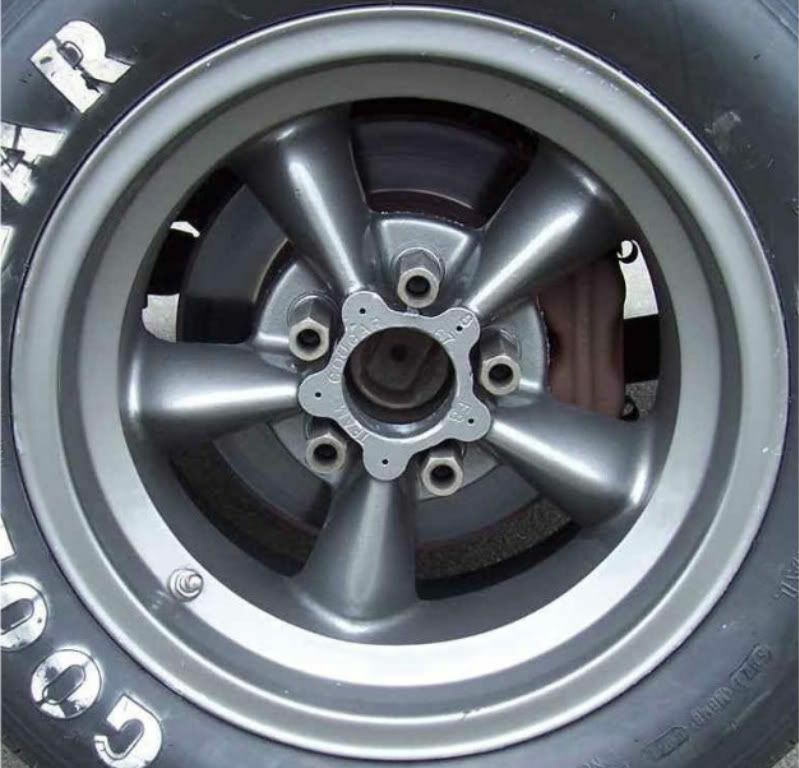 Just taking a wild guess, it could be that some people have seen the Shelby name on these 4-spoke wheels and somehow associated it with the 200-S.
what was the common race wheel for the 67/68 camaros? I was thinking of takeing the redlines off Jon and getting tourqe thrusts for my 67Z. Ron, it is the 5-spoke Torq-Thrust D if you are wanting to replicate the look of the car for the first few years of the Trans-Am series. Not the current wheel that American calls the Torq-Thrust D but the vintage one. 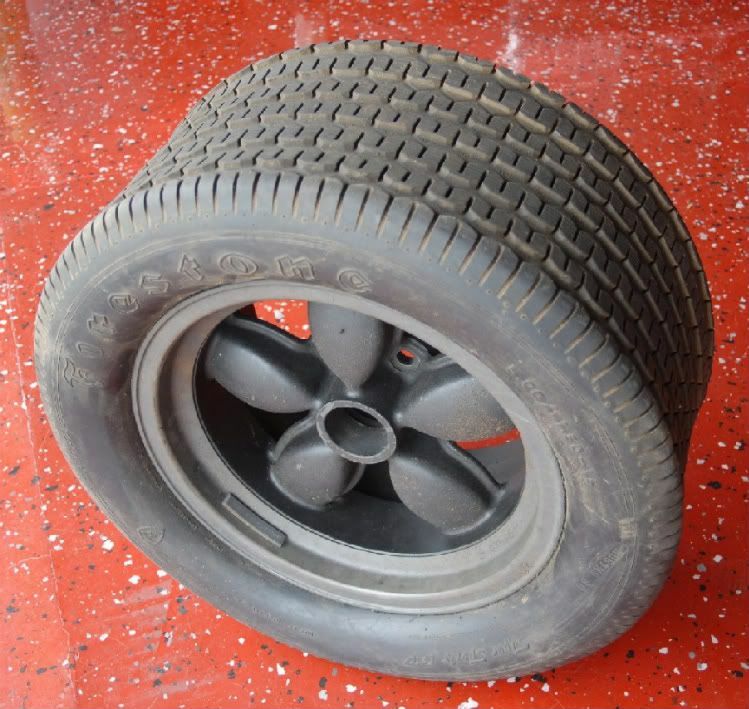 The Minilite probably became the more popular wheel by the early '70s. I even think the 200-S looks good on these cars but it was not as popular as the other two. There were some others also and they will get posted eventually. I can help you find a set of authentic Torq-Thrust D's if you want but they are a fairy expensive wheel. PS Engineering also offers a reproduction version. Getting back to vintage magnesium Torq-Thrusts still in action, here are some that are owned by Ken Epsman and in use on Walt Boeninger's '67 Trans-Am Mustang. These are originals from the Bud Moore Cougar team. Notice the date stamp of 8 67.